Like many people of my age, I’m not very good with mobile phones. Club fingers and bad eyesight don’t help. Of course, I’m much better than Fat Mac, who unfortunately hasn’t even figured out how to answer a call on his phone, yet. I’ve gradually got used to my phone, and am using it much more nowadays, but I’ve not mastered using it abroad, apart from connecting to various WiFi. I can still remember the massive bill that Caro ran up on her iPhone when she came over from Australia a few years ago without realising the cost, and am wary of incurring similar expense. For some reason, neither Lindsey or my phone would work from the West Indies when we tried to phone home earlier this year. Leslie had no problems with his. We’ve no idea why. The SIM card we bought in China a couple of years ago didn’t seem to work on our phones there. I was impressed with the ease of use of mobiles in Ghana. 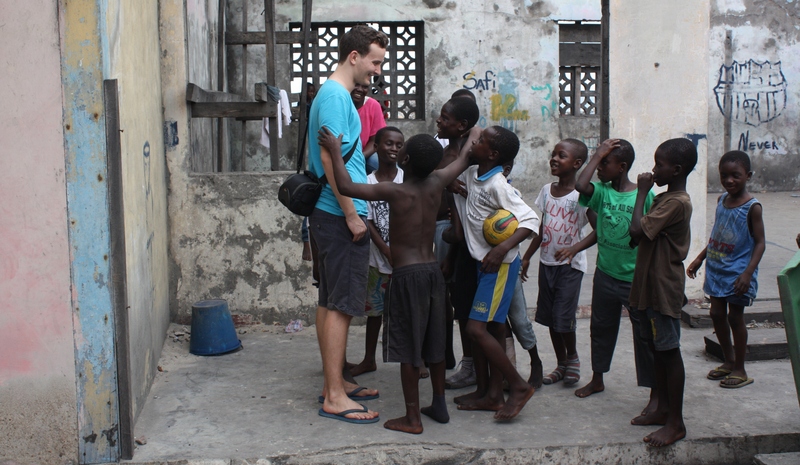 Having previously bought a local SIM card, Jamie simply bought a pre-paid slip from one of the hundreds of guys selling them at road junctions around Accra, for about the equivalent of two Pounds, and this gave him full use for roughly two weeks – apps, maps, Internet, local calls, and even calls to the UK which only cost a few pence. Two hours down a dirt track in the middle of nowhere, and he was still able to get a signal, check maps and find the right turn-off. Three young people have failed to even locate the SIM card on my HTC phone. But I was determined to master the process of buying a card abroad and using my phone to the fullest. Then I discovered that Fat Mac, who is currently in India, got someone younger to help him try to get an Indian sim card, but it required all sorts of paperwork including a passport photo, forms and proof of residence. Then I heard that it is almost equally difficult to get cards in South Africa, where we’re going at the end of February for a wedding in Cape Town. 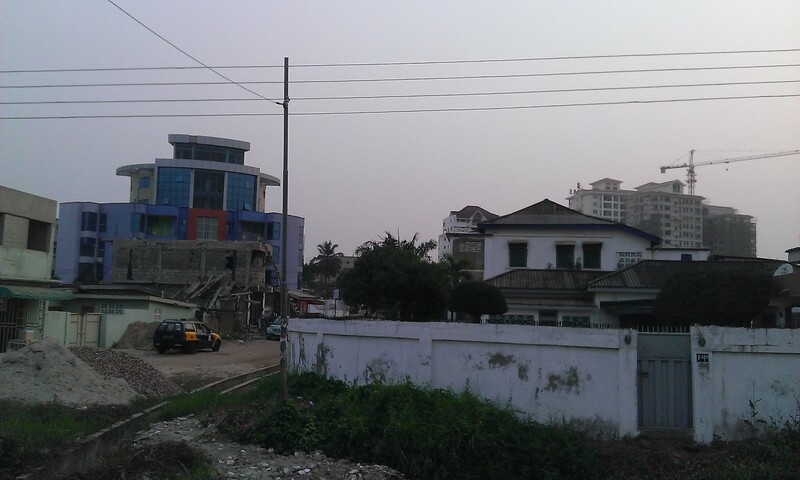 I took few photos in Accra itself, and the ones I did take tend to give a slightly false impression. There were various modern buildings and some high-rise apartments, but we always either seemed to be in the car when we passed them, or it was night-time. So, the photos I took were mostly in poorer parts of town, when were were walking around. Often, the people were not keen on having their photos taken, which is fair enough. Accra is not entirely represented, therefore, in the following. 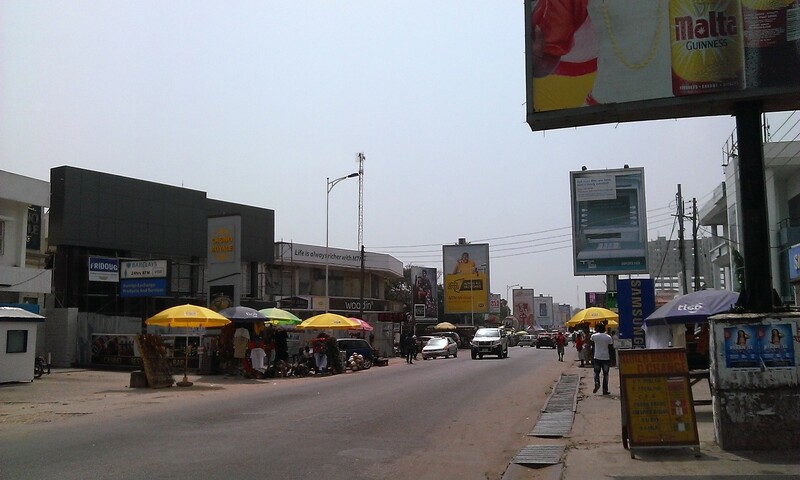 Accra is by far the busiest city I’ve ever visited. It can take ages getting from one part of town to another, especially if the traffic is bad which it is for most of the day. 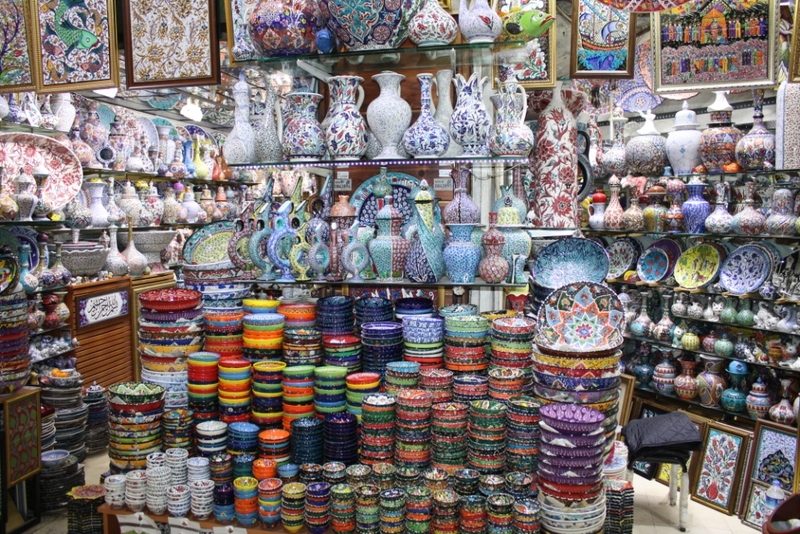 There are masses of people and thousands of roadside markets selling all sorts of things. I totally failed to capture any of this in my photos! 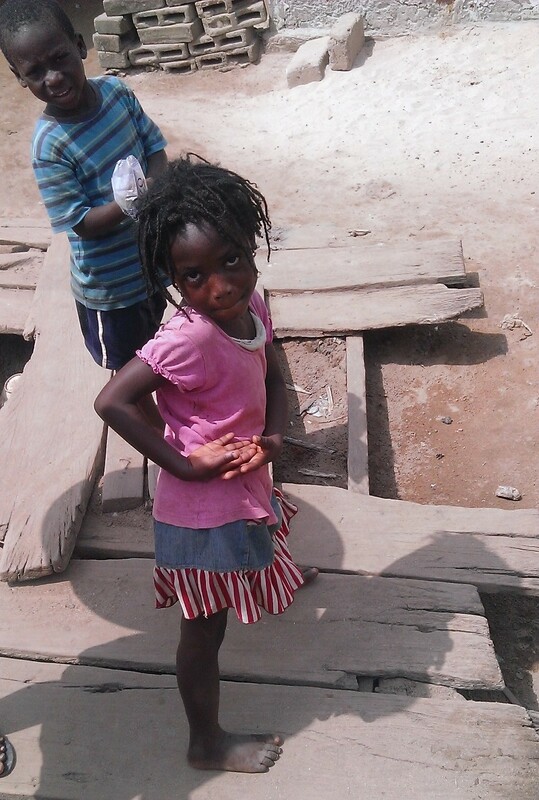 Everyone we met in Ghana was friendly, and there were few hassles. The lads in the car park at Elmina were about the pushiest, but we just ignored them. The kids everywhere had fantastic smiles. The only incident happened when I was walking back to the wee bungalow we were staying in at one beaches and I saw a couple of girls looking into our window and trying the door. The manager of the resort had also seen them. He raced past me, and caught one of them. Turkish Airlines fly to over 200 international destinations, and if you have an enforced stopover in Istanbul then they will transfer you to the centre of the city and put you up in a hotel, then drive you back to the airport the next day at no additional cost (you have to read the small print to find this out, and then go to the appropriate hotel stand at the airport). Consequently, we had a couple of hours in the morning before our flight to Accra for a whistlestop tour of some of the sites and sounds of Istanbul. 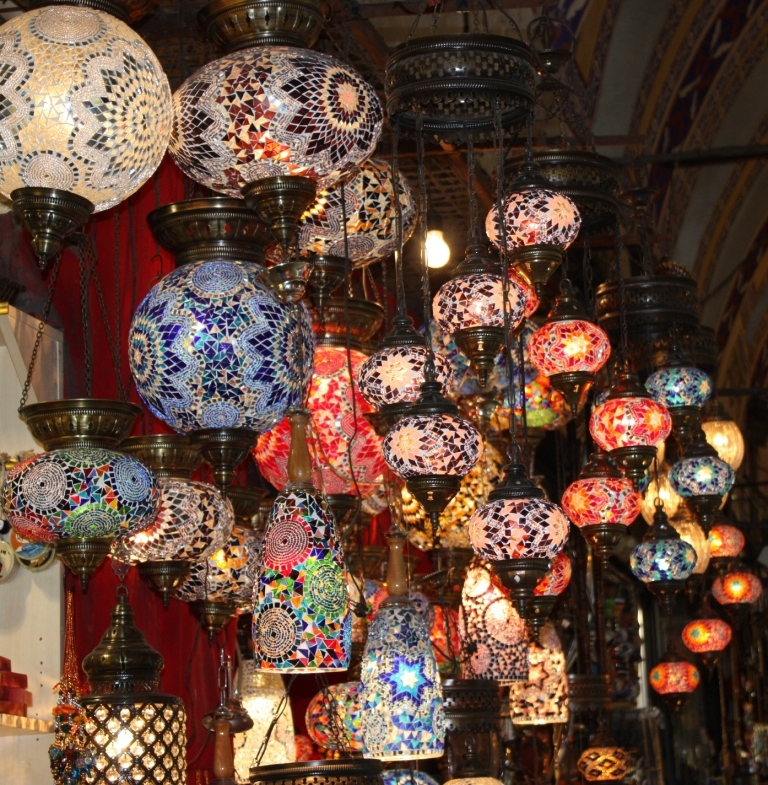 The Grand Bazaar is well worth a trip, and is a mass of colour. 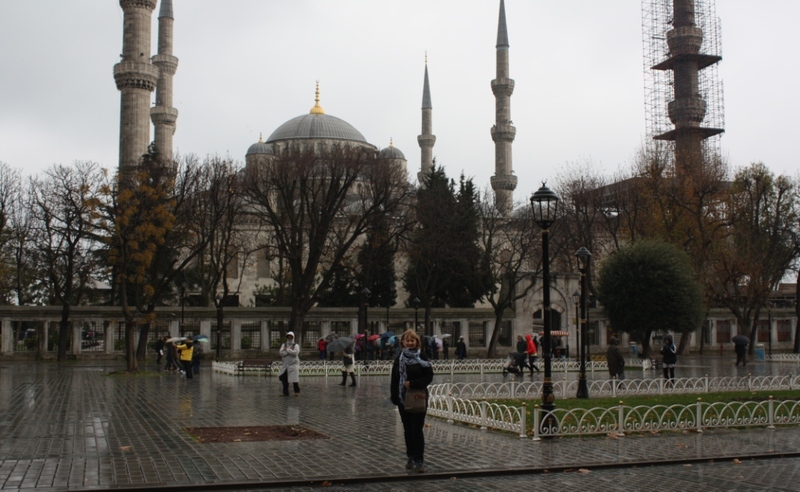 We also had time for a very quick visit the Sultanahmet (Blue) Mosque. 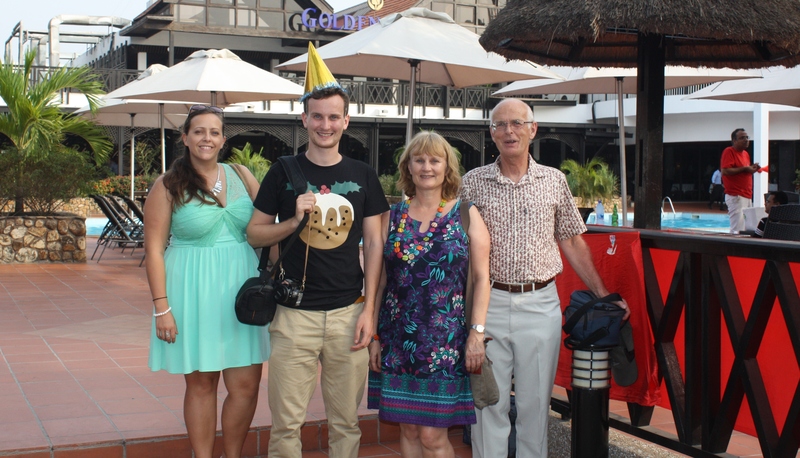 Last night we returned home from our trip to Ghana, where we visited son Jamie and his partner Kat who are working there. 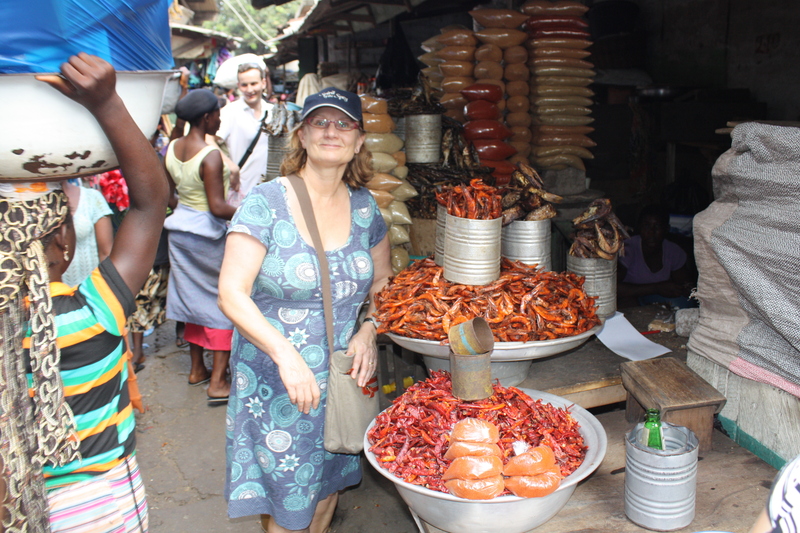 We had a wonderful couple of weeks in West Africa, and saw all sorts of things, of which more in future posts. Lindsey turned on the BBC news, and the biggest item seemed to be about some kid who’d not been able to get his new computer game Christmas present to work, and this had been so absolutely traumatic for the child that his parents were wanting compensation from the game producers. Lindsey turned off the TV and said, “Welcome back to the UK”. 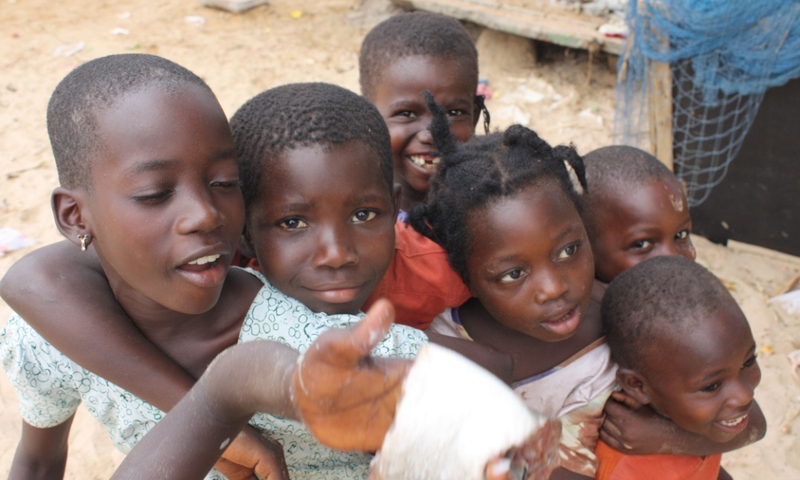 Ghana is one of the success stories of Africa. 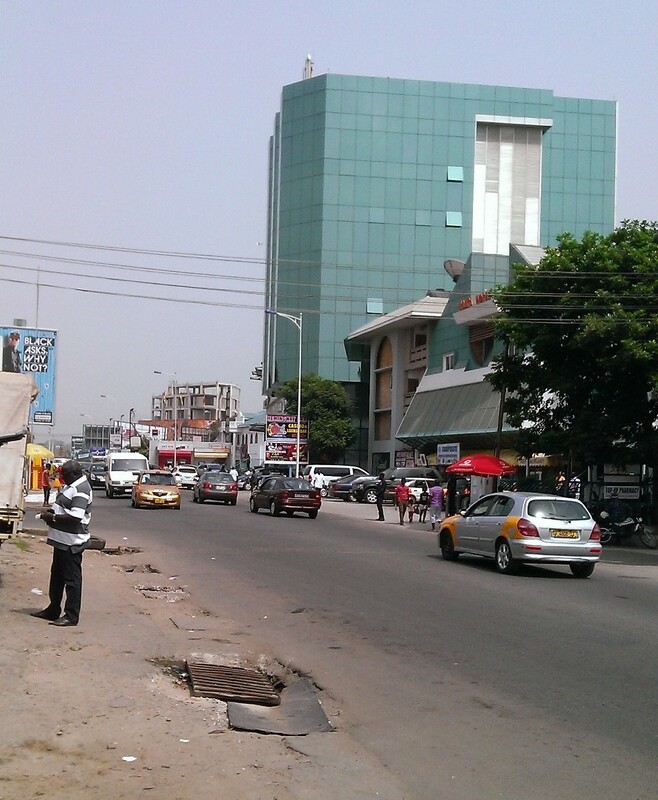 Their economy is doing relatively well, and places like Accra and Takoradi are the busiest cities I’ve ever visited. 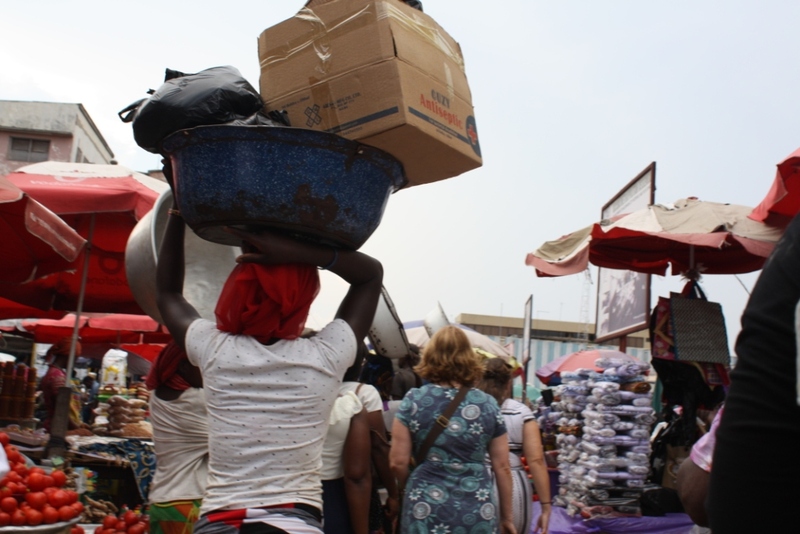 The immense bustle of people, vehicles, traffic and roadside markets are like nothing I’ve experienced before. 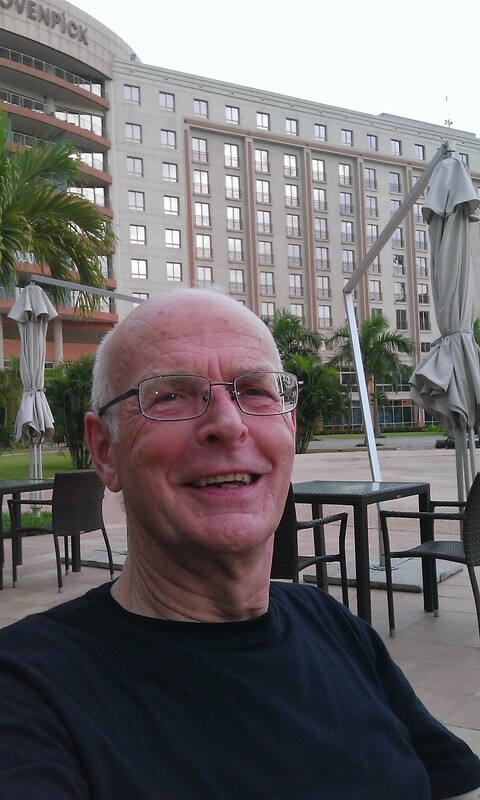 I wouldn’t be able to drive in Accra, that’s for sure, and we were very pleased to be ferried around by Jamie & Kat, who have become used to the organised chaos. I wasn’t able to capture the bustle in my photos. 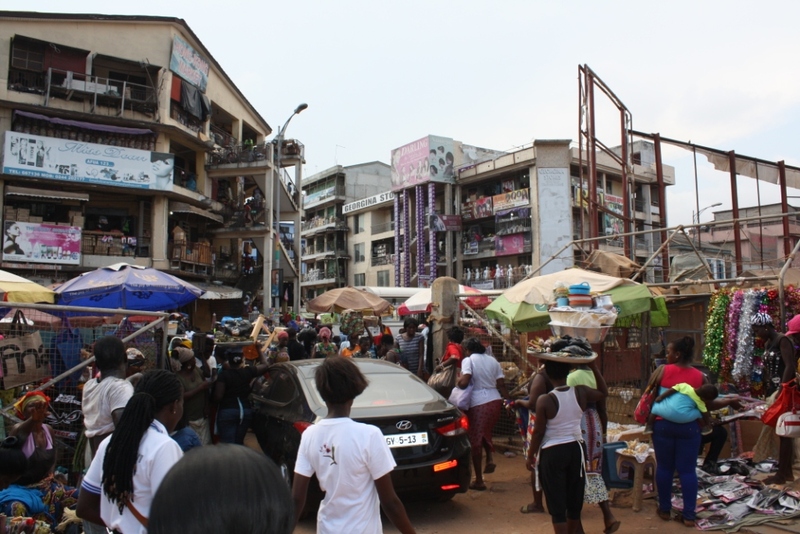 There are, nevertheless, plenty of people in Ghana, in the rural areas and in the poorer parts of the cities, who have very little in terms of material wealth. 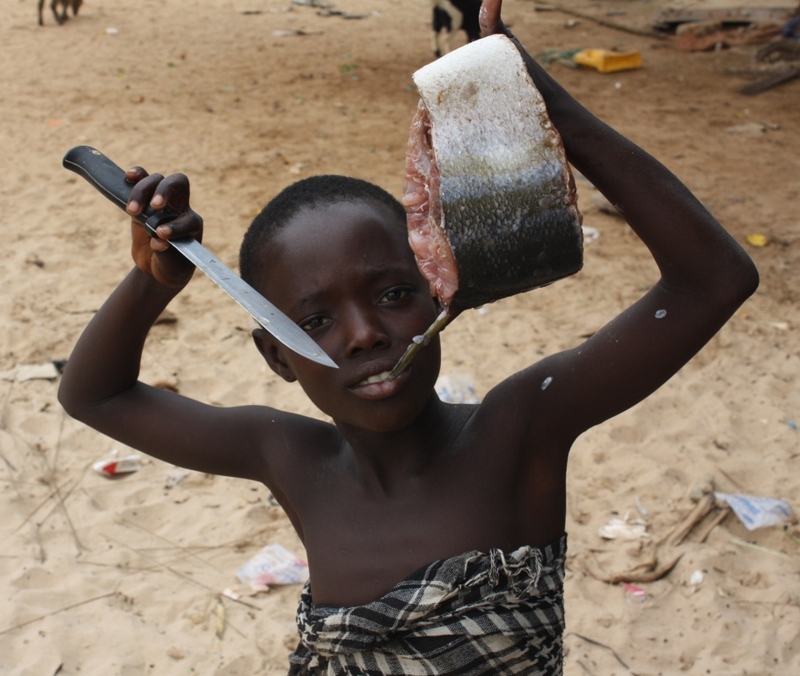 Above is a photo of a kid in Busua who’s happy with her Christmas present. 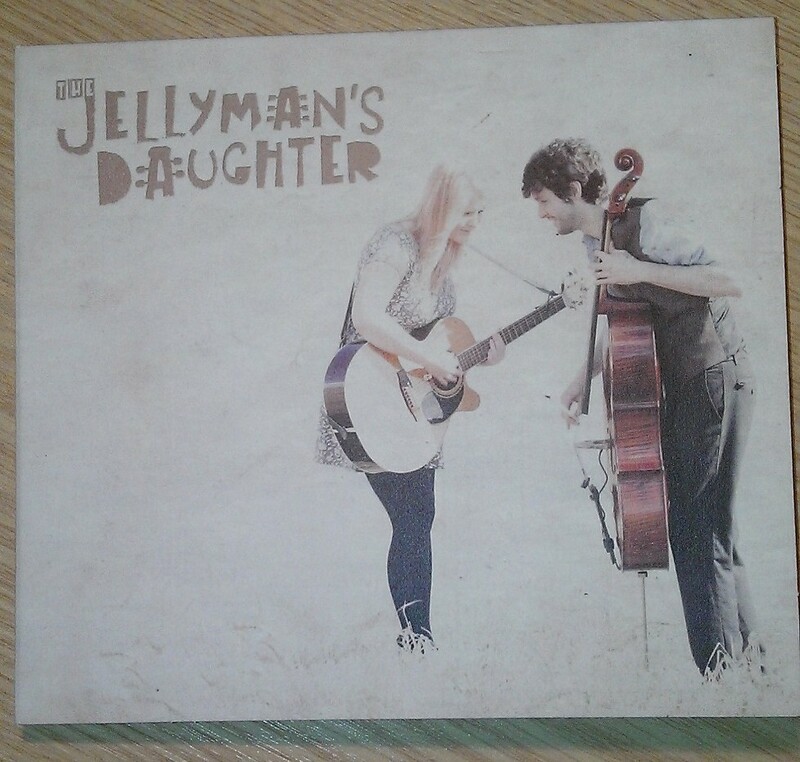 The Jellyman’s Daughter is a rather special duo. Their album of the same name is definitely worth investigating. Their wonderful voices blend together in a particularly attractive way, and in some respects they remind me of a cross between Buckingham Nicks and The Waifs. The songs are well crafted and unusual, but yet catchy. 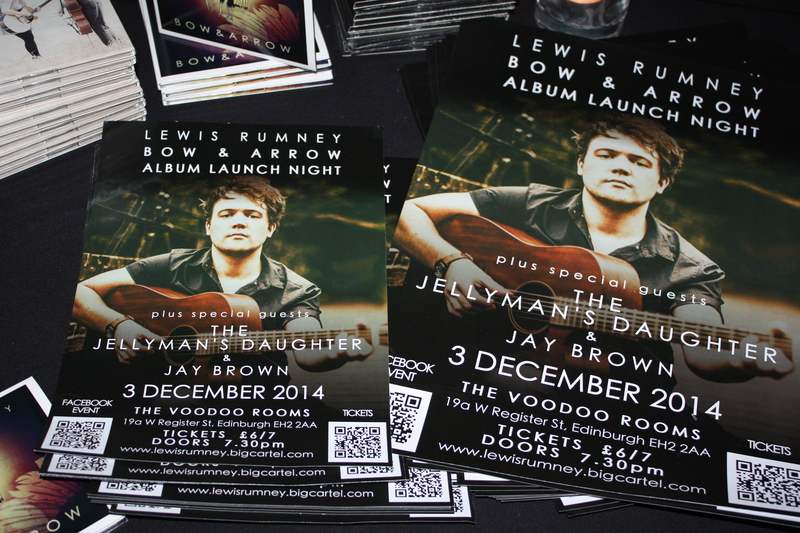 Last night we went to the launch of Lewis Rumney‘s album Bow & Arrow, in the Voodoo Rooms. You can hear a sample track from the album here. Lewis is a friend of my son Jamie, and we’ve known him for a long time. The two of them used to play in the band Danny Cockroach. Lewis also plays in the Reel Deal Ceilidh Band, which Jamie has played drums for. 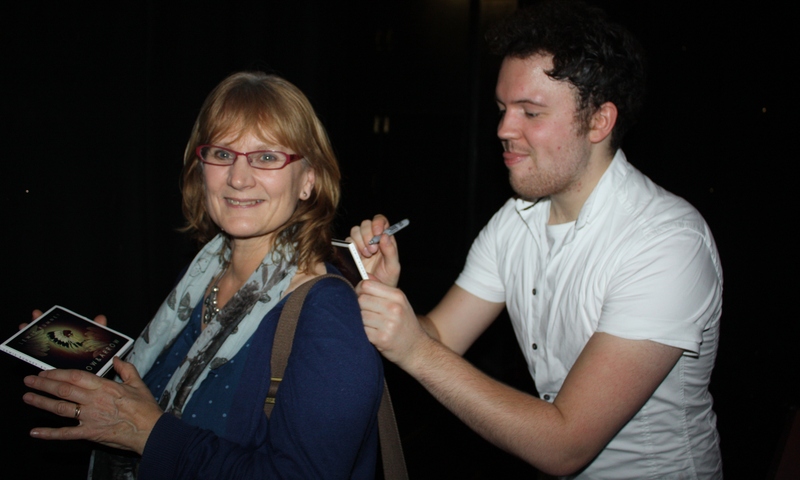 Lewis is very talented. At the launch, his band played several excellent songs from the new album, preceded by another talented duo, The Jellyman’s Daughter.